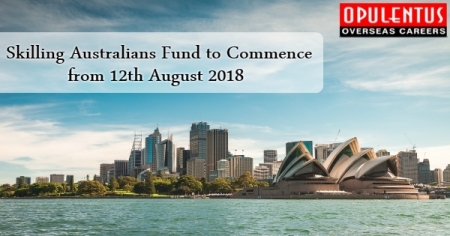 The Australian Parliament passed the Migration Amendment regarding the Skilling Australians Fund Bill - 2018, on 9th May 2018. Its date of implementation presently is 12th August 2018. All applications sponsored by Employers filed from August 12th will invite the new levy. It was initially introduced when as the Migration Amendment Skilling Australians Fund Bill on 18th April 2017. It imposes a charge for making a contribution for nomination training on employers who nominate workers in the temporary as well as permanent migration programs sponsored by employers. The levy replaces the present training Norms for employers who sponsor workers in 457, RSMS and ENS visas from Mar- 2018. This is also the compulsory norm for a fresh TSS visa. Such companies which employ someone on a sc457 visa must meet their Training Benchmark obligations until 12th August 2018. Applications of sponsorship of the employer, gets an approval, but future employee visa application gets a refusal, because of character/health considerations. In case the approved holder of TSS 482 visa has not actually started to work with sponsor. When a holder of TSS 482 visa, stops working, with the sponsoring employer, during the initial twelve months, of employment. In case the visa takes effect, obligation to train will exist till the implementation of SAF legislation. The company must meet the training benchmark 12 months after the business gets the status of an approved sponsor.